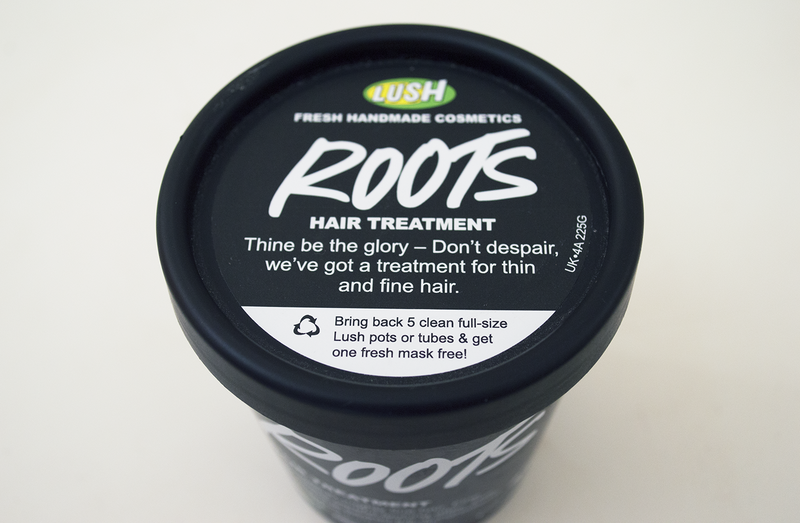 Sometimes, we fine-haired gals need a bit of a root boost. Luckily, Lush have the solution! My thin/fine (or "Thine") hair type means I'm forever on the lookout for volumising products that won't weigh my hair down. Cue Roots! I'm a big Lush fan for a number of reasons, not least their use of natural ingredients and their vow against animal testing. 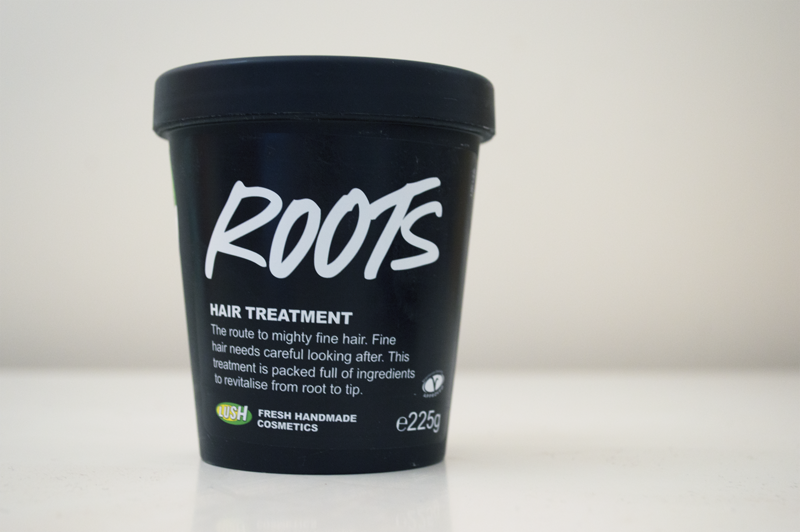 They've been developing their haircare range more and more over the last few years, and Roots is just one of the collection's many triumphs. Lush recommend that you use this treatment - which is, for all intents and purposes, a hair mask - once a fortnight. I found that the 225g tub I bought for £10.25 lasted for about 5 uses, which is pretty good value in my books! The treatment itself is a thick white cream with a strong minty smell. The tub says to massage it into your scalp and roots for 15-20 minutes, then shampoo out and condition if needed. While massaging the product in, you start to feel a cooling sensation on your scalp, which is both relaxing and invigorating. As well as peppermint oil, Roots contains a number of products that are known to be both moisturising and antiseptic such as honey, orange oil, and extra virgin olive oil. The combined aroma of the ingredients is lovely and soothing, dominated mostly by the peppermint. After washing the product out and blowdrying, I find that my hair does feel thicker and more buoyant, with considerably more volume. It also feels soft and strong, with the scent of the treatment lingering a bit. Though I wouldn't say these effects last for a fortnight, my hair does feel healthier for a good few days afterwards. It's a great product to use before a holiday or an event to give your hair a bit of a boost, or equally perfect if you just fancy pampering yourself a bit on a relaxing evening in! Have you got thin/fine hair too? What do you use when you want a bit of added volume? I haven't tried this out but it sounds amazing, especially for thin hair. Great post! I might tell my friend about this, my hair is thick but she could do with this! I think I will try this product!